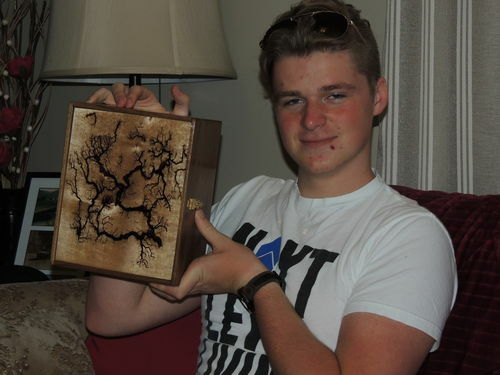 Andrew was very pleased with the box, my daughter (not his mother) had told me an 18 year old boy would not like a box, but when he seen his sister a week before he said, wow I would like a box too. So seems like a hit. 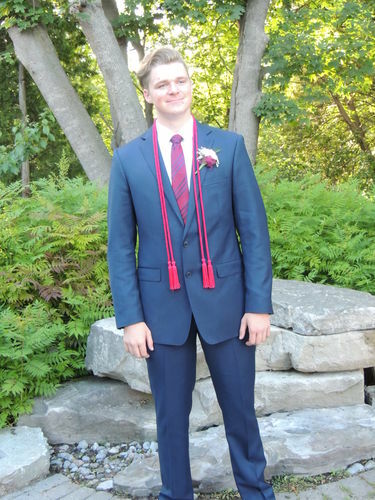 Now he is off to Andrews University, Berrien Springs Mich. next year with a $50k scholorship, where I graduated from. Thanks again for looking and all comments are appreciated…. 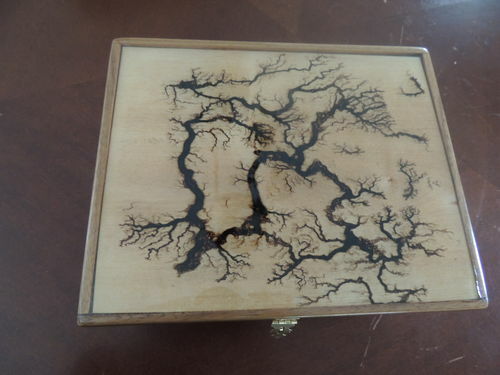 Good looking box Brian, the burning is awesome. Great box and apparently great kid too. Nice box and love the electrics. 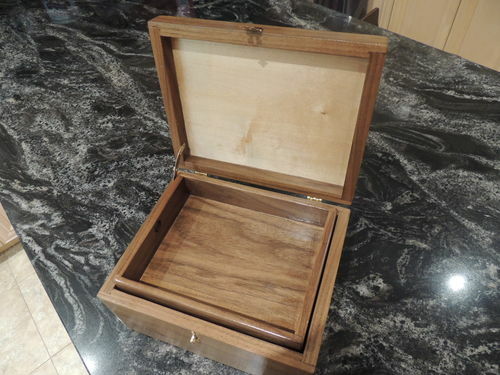 Another very nice box Brian and yes you’re allowed as a grandparent to be be very proud of your grandchildren…. Oh Boy, that is a beauty. 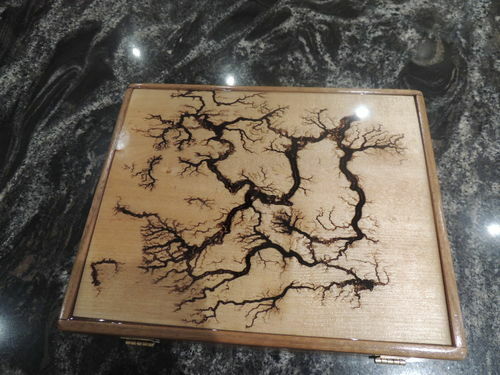 Great job mate, I love the Fractal burning. Beautiful box, Brian!! The fractal pattern came out great!! Beautiful box Brian! Thanks too for the video on the epoxy process. This is a very attractive box. That fractal pattern turned out beautifully and is so organic. Great work, now both of them have their own box. Great fractal images and congratulations to the graduate! Great job and that box will come in handy in many ways – it could hold anything from a computer engineer’s flash drives to a doctor’s stethoscope, to an accountant’s financial calculator, and still be passed down for generations into the future. Boys don’t like boxes? Where else would we keep our baseball cards, the shells we picked up at the beach and other mementos of our childhood adventures, not to mention our spare change, car keys and grandpa’s pocket watch? Now you have four years to plan the next set of graduation gifts – maybe custom made frames for diplomas? Great box & thanks for the video! I had the priviledge of seeing that box in person! True craftsmanship at its best! Can’t wait to see you and Jo again! A beauty of a box. Thanks for the video.